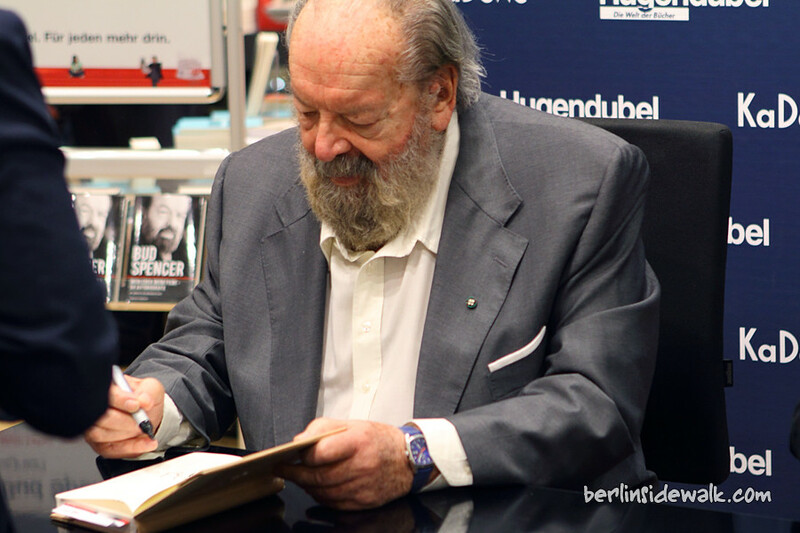 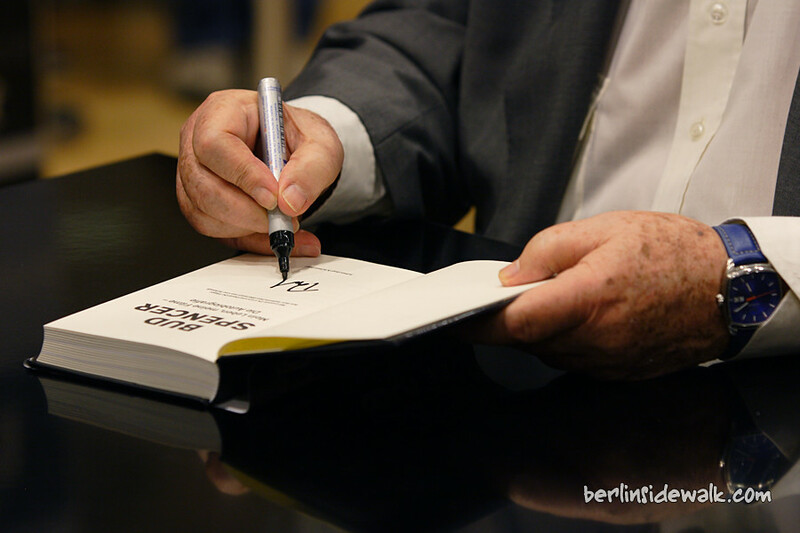 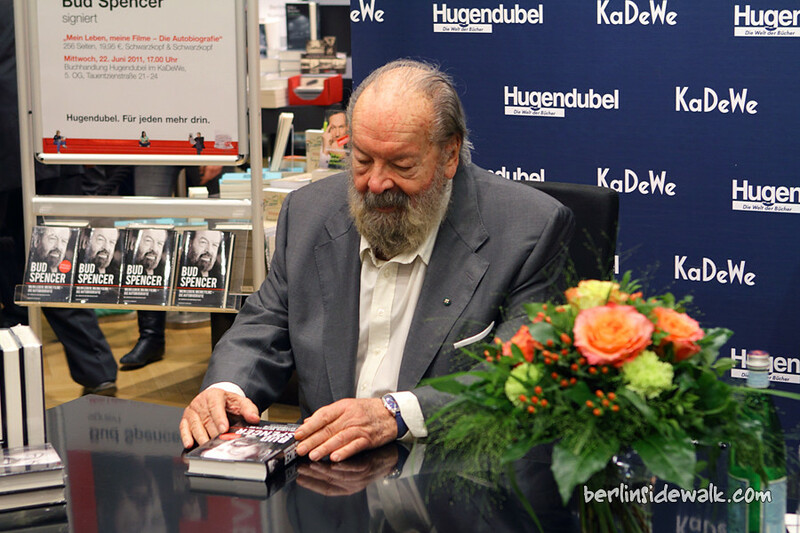 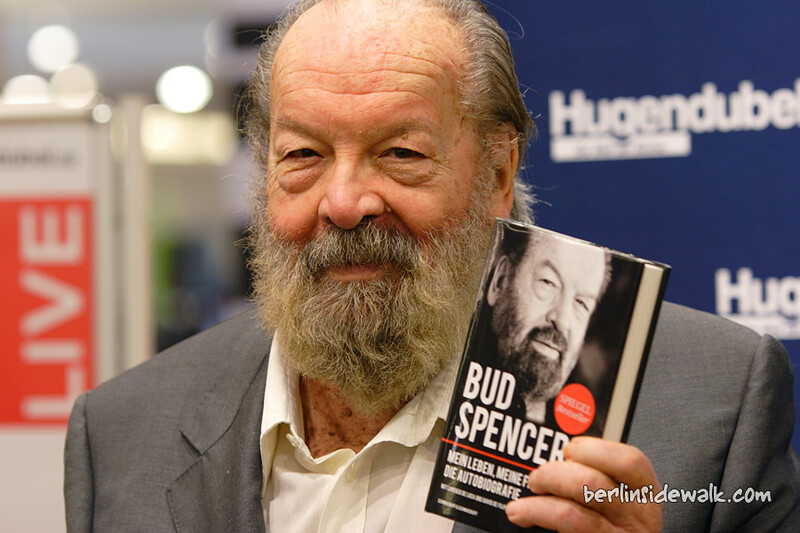 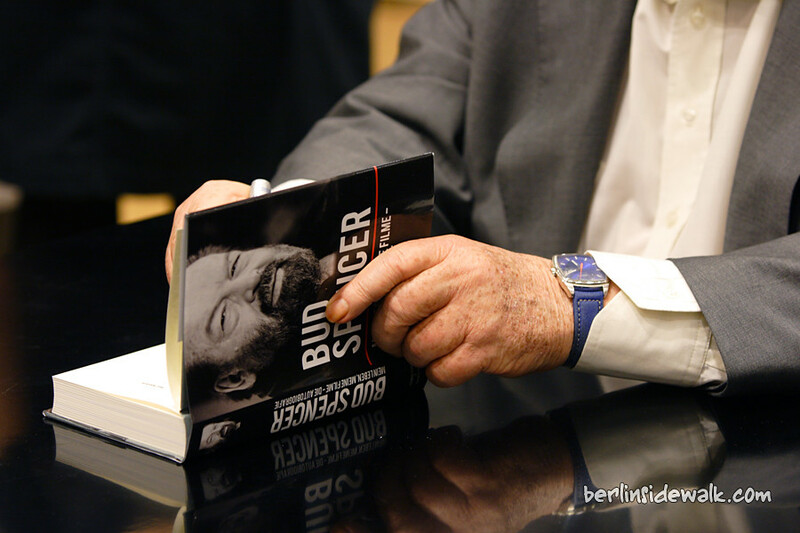 Carlo Pedersoli alias Bud Spencer, the Italian actor and filmmaker signed his autobiography “My Life, My Films” today at Hugendubel KaDeWe Berlin. 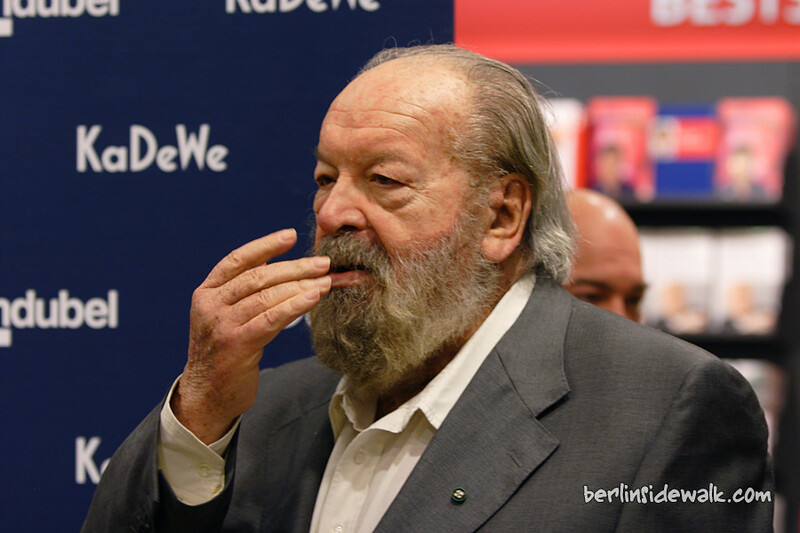 Carlo, born on 31 October 1929, is best known for past roles in spaghetti westerns together with his long time filmpartner Terence Hill. 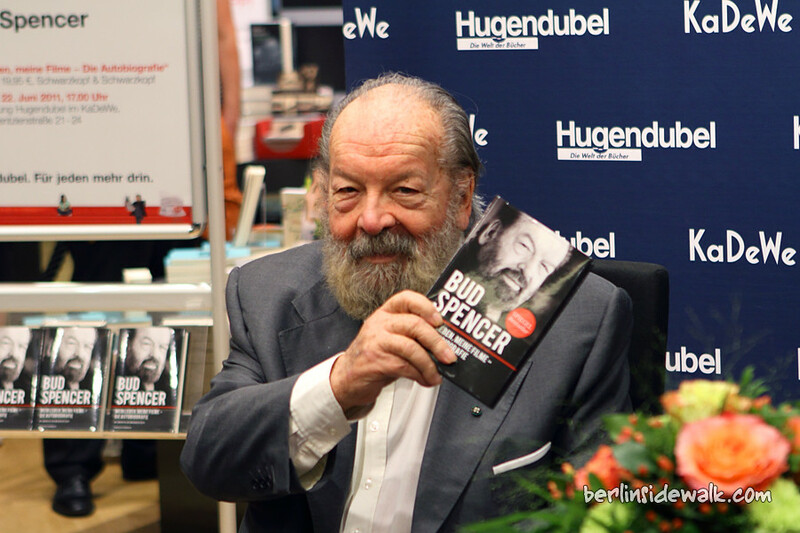 The autobiography is written with humorous anecdotes and peppered with many autobiography sketches where Bud Spencer shows his personal side.